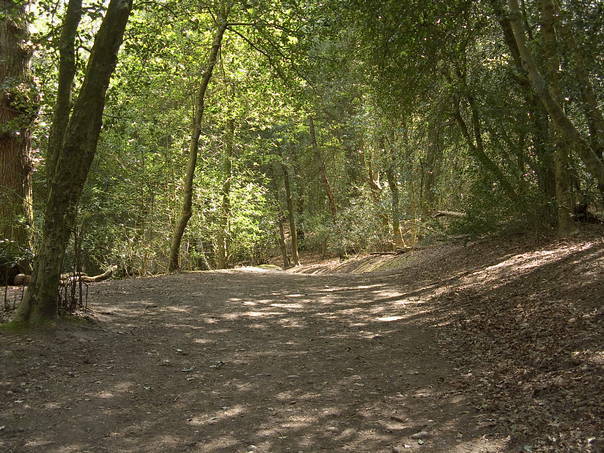 Sutton Park is an ideal place for walking, whether purposeful rambling or gentle ambling. 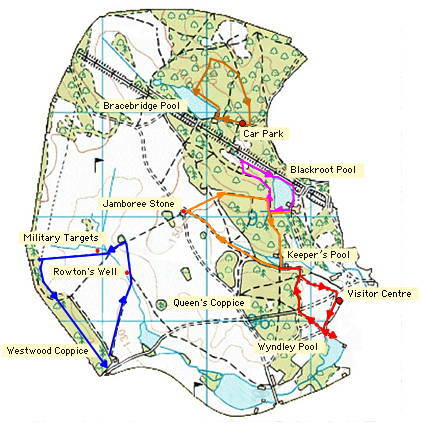 Leaflets and guides describing walks of various distances are available from the Visitor Centre, which is situated near to Town Gate (see the walks map). Please make sure that you are properly equipped for walking, with appropriate footwear. The soil in the Park is very stony, and it is easy to slip on loose stones. Look out for and obey any warning signs. Thanks to Peter Hillcox, former Head Ranger, for some of the walks described here. The park is very popular among dog owners as a place to walk their pets. Unfortunately, at certain times of the year, dogs can disturb ground nesting birds. The loss of some such species in the Longmoor Valley has been of great concern in recent years. Birds such as Lapwing and Water Rail no longer breed and species such as Partridge, Pheasant, Snipe and Jack Snipe are increasingly threatened. Those walking with dogs are asked to keep them on a lead during April, May and June in all open areas of the park. No person shall during the months of April, May or June, cause or suffer any dog belonging to or being in such persons charge to be in that portion of the Park which lies west of the following line, namely from the entrance in Streetly Lane opposite the Hermitage along the footpath to the north-eastern corner of Pool Hollies Wood and thence along the boundary of the wood to the Midland Railway and along the Railway as far as Blackroot Pool, and thence along Blackroot Glade to and along the footpath to Holly Hurst Wood and along the boundary of the wood to Wyndley Glade, and thence along the carriage way to the Banners Gate Entrance, unless such dog be fastened to and led by a chain or strong leash so as to be under the control of such person. Click inside the marked walks for more details. If you're a keen walker, you may be interested in the web site of Walking-Routes.co.uk.